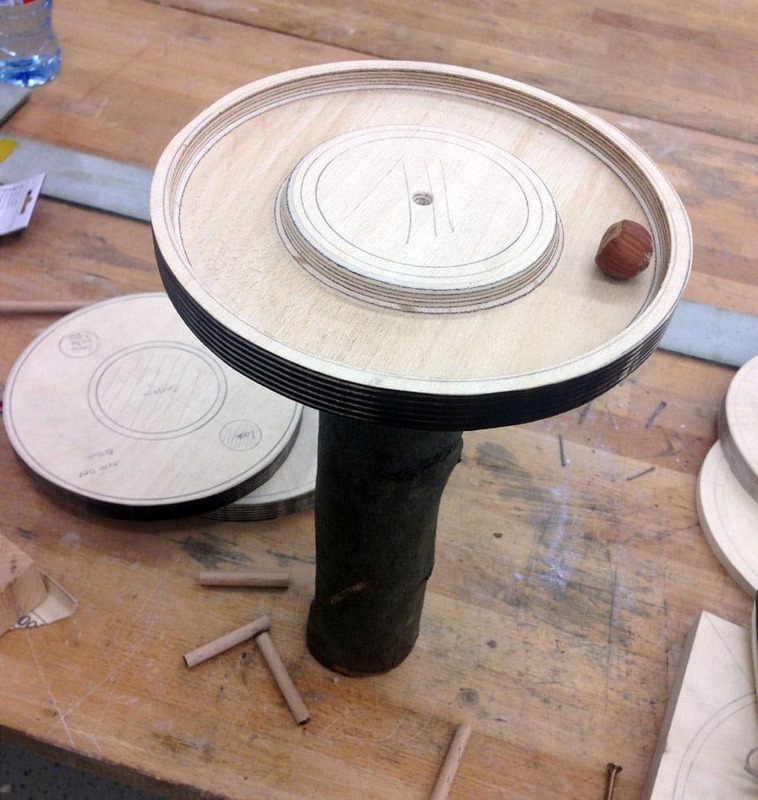 The Köln International School Project “Play Green” is about developing a board game made out of natural materials. It was supervised by Prof. Iris Utikal and guest lecturer Jens-Peter Schliemann, well known German board game designer (SpieleEntwicklerStudio). 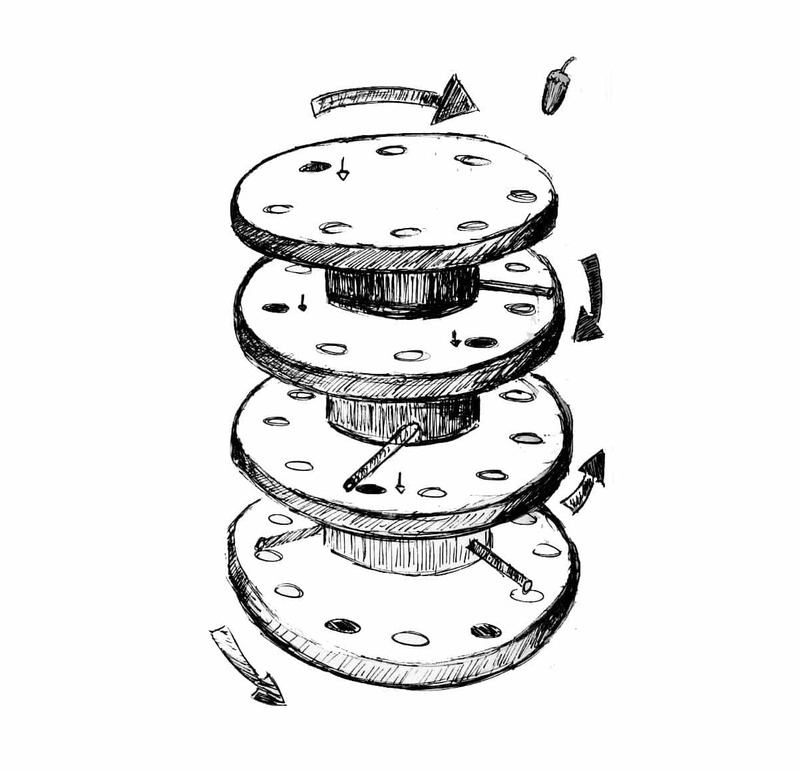 During the project, we developed ideas for a playful concept out of natural materials. The task was to composite these materials to create an attractive game. We learned to understand the functions of the chosen material and out of this research, we had to structure and build a playable game. We started the project by playing games that were designed by Jens-Peter Schliemann to find out about their special aspects concerning game set up, gameplay and the playing materials. We formed teams out of three to four to start developing variable ideas for a new game. While developing ideas we had to take into concern the fact of differences in natural materials in comparison to artificially produced material. After building a prototype of the first idea it was very important to play the game in order to figure out The Project ‘Play Green’ – description, procedure, and objectives different aspects of the gameplay. One of the goals was to get rid of the first infantine ideas and become a real game author, to develop a game idea adequate to the natural material. It took a lot of steps and new ideas to come to a well working game. 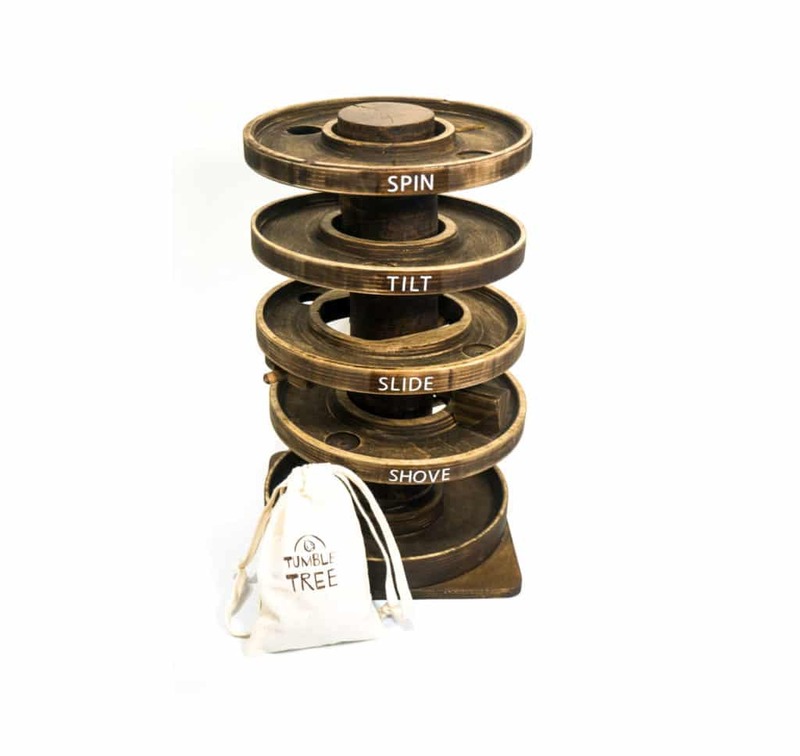 Two to four players are able to play a competitive and interactive game for which dexterity and strategic thinking is needed to deal with the arbitrariness included in the respective playing fields. 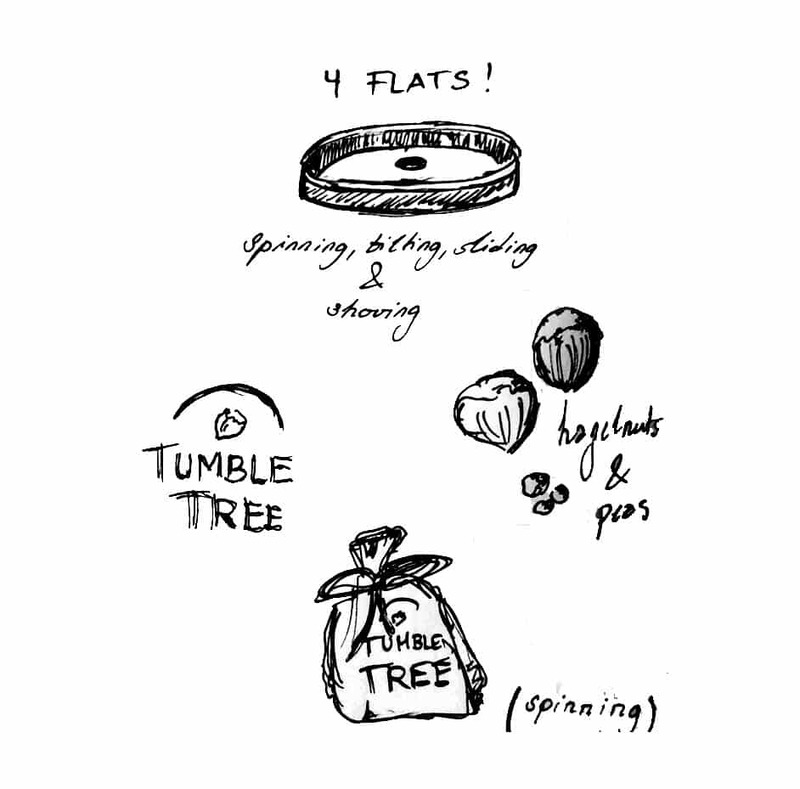 All players try to bring all their nuts and peas down through the tree’s flats first. The player who brings down all of the own figures wins. 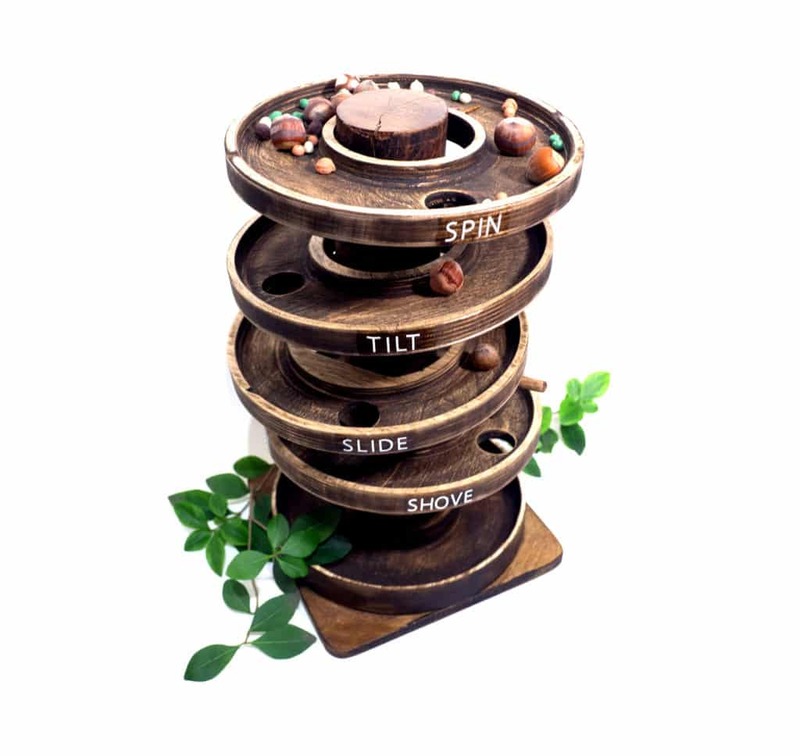 The game consists out of four different sets of colored figures and four different flats including different moves: spinning, tilting, sliding and shoving. Spinning: Its the first flat of the tree where all players start with all of their figures. The player has to move the first flat of the tree arbitrary to move any figure through the hole. Tilting: The player has to tilt the flat to get the figures in action. Sliding: In the third flat it is needed to slide the flat back and forth to get the figures moved. Shoving: The last flat must be spun to shove the figures with the given pusher. When we finished our first prototype out of cardboard and had a rough idea about playing, we sat together with a group of four people in the age from 20-25 years. During the game, every player had to document positive such as negative thoughts and ideas that came up their minds. Right from the beginning, we noticed that everyone was struggling with the way the game started. At that point, there was still a dice concluded and it took quite a while until everyone was involved. It was very interesting to see that the players took the game seriously and even tried to use strategies we have not been thinking about at to that time, like placing flats perfectly underneath each other so the nuts fell through more than just one hole during one move. As there were 4 players playing, one game took about 50 minutes, which was much longer than we expected and also planned the game to take. Besides that, we noticed, that after a few rounds the game seemed almost too easy and sometimes boring as there wasn’t much change happening up from the start until to the end. This experience helped us as a group a lot as we then knew in which ways we had to overthink the concept, such as keeping a continuous excitement, keeping the duration shorter as well as there were still small mistakes towards the functions of the game. 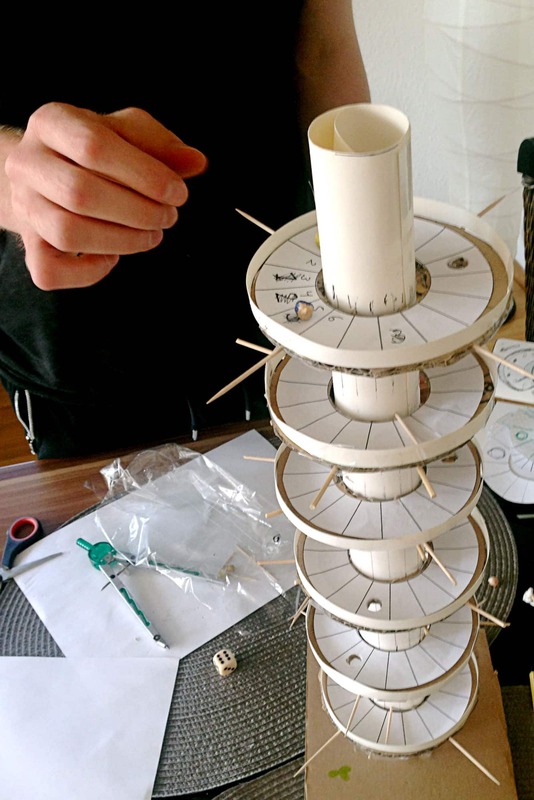 After we had built our first prototype out of cardboard, we knew what technical problems we had to solve for our final wooden product. The wood we decided working with was beech as it is sturdy and we were free to varnish it, because of its light color. First, we started with the different flats, shaped the lanes and drilled the holes. We still tried out, which flat should go on which level and burnished a lot, to make everything as smooth as possible. Then we drilled in the holes for the limbs. At the very end – to make the whole game look more like a real tree, we oiled it in a darker color to receive our final product. Our finished product is the outcome of our focus on the certain properties of natural materials entail. In the process for the most enjoyable solutions for the players, we found out that one distinct quality of natural materials is their randomness in their surface quality and the resulting arbitrariness. This randomness is one of our key points in the game. 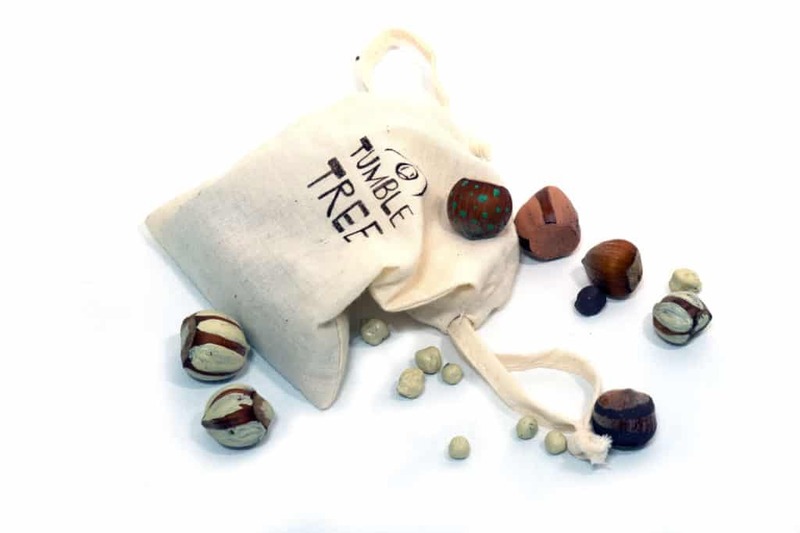 Because of the naturally grown nuts, we reached dynamic gameplay that will be played differently and excitingly. Players cannot fully plan how the figure is going to roll or where it drops, which belongs to the mixture of agility and the beauty of imperfection. After the final presentation, we luckily got positive feedback out of the audience that couldn’t make us more happy about our work during this really interesting and special project.